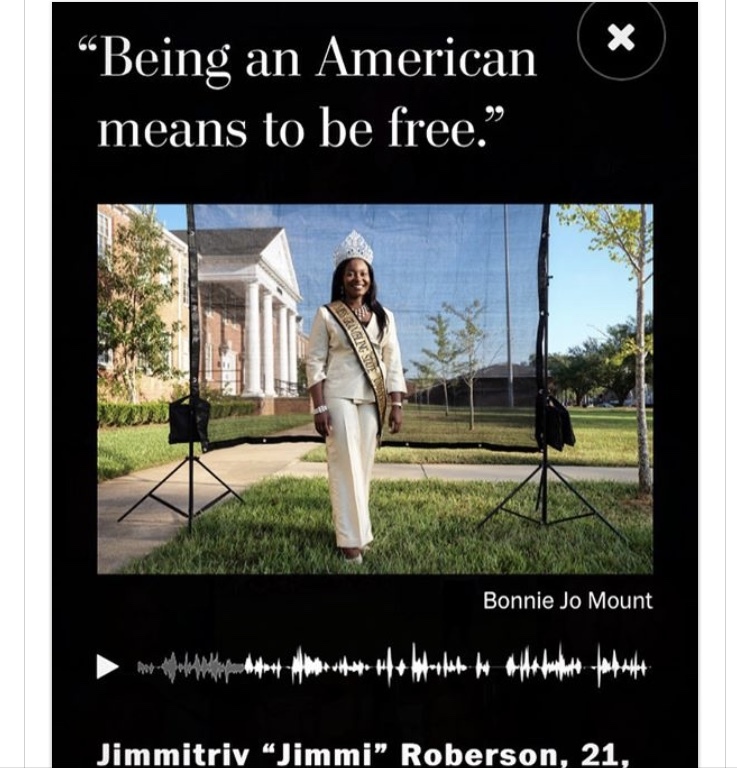 When the 64th Miss Grambling State University answered the question, “What does it means to be an American?” for, The Washington Post, she had no idea she would receive so much attention. 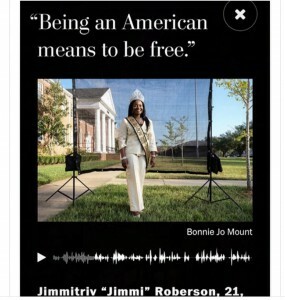 In mid-January, Post photojournalist Bonnie Jo Mount sent Jimmitriv Roberson a link to a photo-focused news feature about what unites Americans in a divided nation. Roberson was offered the opportunity by Will Sutton, the GSU director of communications, who received a call from Mount, a former newspaper and teaching colleague. The Washington Post chose two people from each of the 50 states and Washington, D.C., totaling 102 participants. Seven Post photographers traveled across the U.S.A. to conduct the interviews and photo shoots to make this project happen. The second Louisiana person chosen lives in West Monroe, Louisiana. Once Roberson, the university and others started sharing the link, Roberson started hearing from family, friends and others and she’s been elated since. She had a lot to say, though only a small part of her interview was used. “I felt that the only thing we have in common as Americans is to be free… Religion is one of the biggest things that separates us because there are so many types of religions such as Christianity, Buddhism, Muslim…,” said Roberson, a senior biology major from Arcadia, Louisiana who attended Arcadia High School. 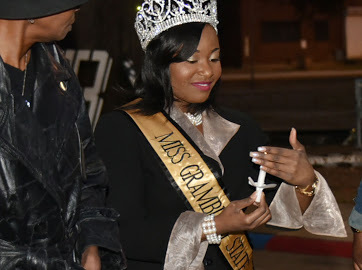 After conferring with Mount, Sutton told Roberson she could be Jimmi or Miss Grambling for the photo shoot, and she thought what better way to represent the university than to represent as Miss Grambling. She put on a nice outfit, sash and crown and. showed up for an 8 a.m. photo shoot in front of Brown Hall on Oct. 2. They took around 500 pictures. “Jimmi is the type of queen we’re all so proud …I am just so proud of her,” he said. Roberson said she recognizes that this is bigger than herself and she is grateful for this opportunity. She said she does back-to-back interviews frequently as Miss Grambling but didn’t know it would blow up to this magnitude. She has an electronic version of the “What Unites Us?” feature and she plans to print it, frame it and keep it as a keepsake. Her high basketball coach found out about Roberson’s accomplishment when she posted the article on social media. “I feel like it’s a major accomplishment for a young lady that is very deserving… she’s unique in a special way and she really deserves everything that comes to her…it’s remarkable,” said Coach DeAndre Alexander, the girls’ basketball coach at Arcadia High School. “There are so many positive emotions that I feel. I feel really good that I was able to not only represent myself but my peers, my family, my community and, of course, the university and even the state of Louisiana …,” said Roberson, 21.